The 90th year on from the Battle of the Somme. This July 1st I was privileged to be at the memorial service at Thiepval Memorial with Henry Allingham and thousands of other people to stand and remember the men who fought and died in that battle. 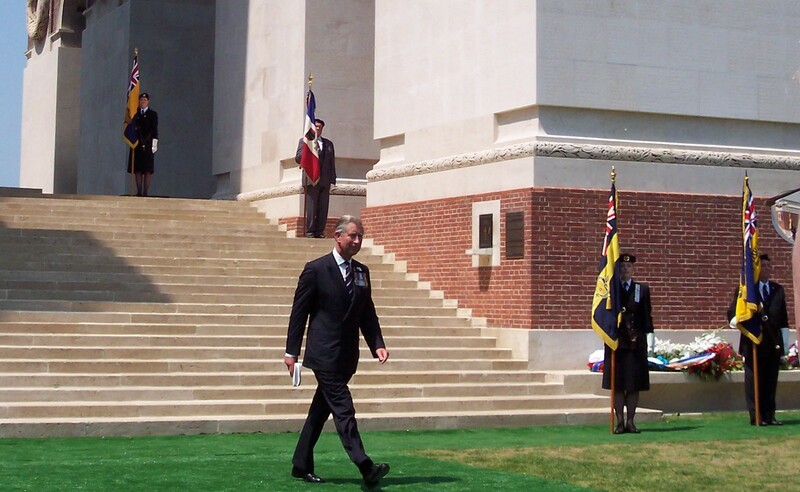 The address by Prince Charles was beamed around the world as a mark of respect for all who paid such a price for the gains made over those months. 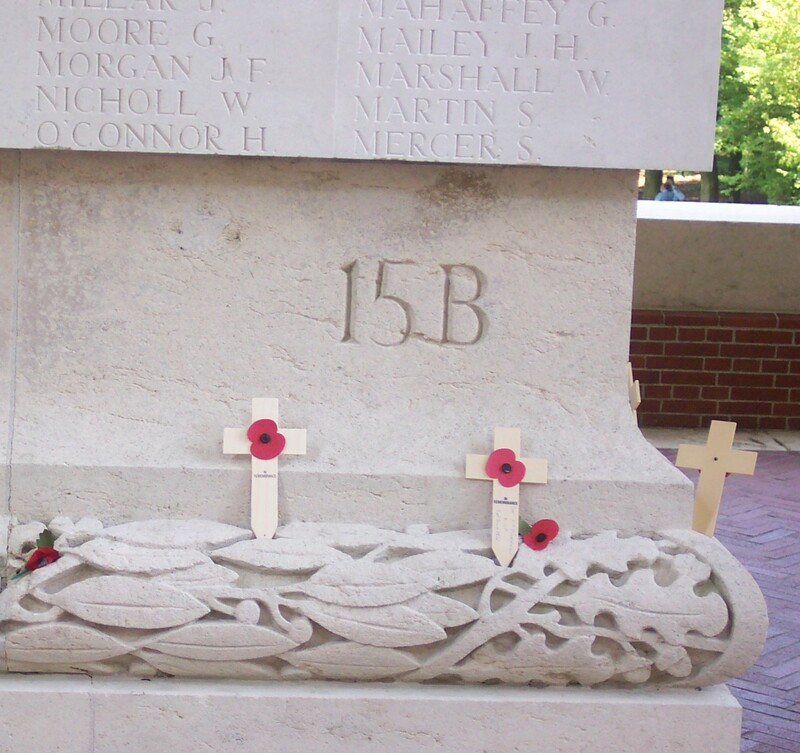 The debate as if the battle was a success or failure is still going on, but simply by looking at the vast columns of names on those panels and the stones in surrounding countryside indicate the cost of the battle.
. The Webmaster with Henry Allingham before the 90th memorial service at Thiepval. 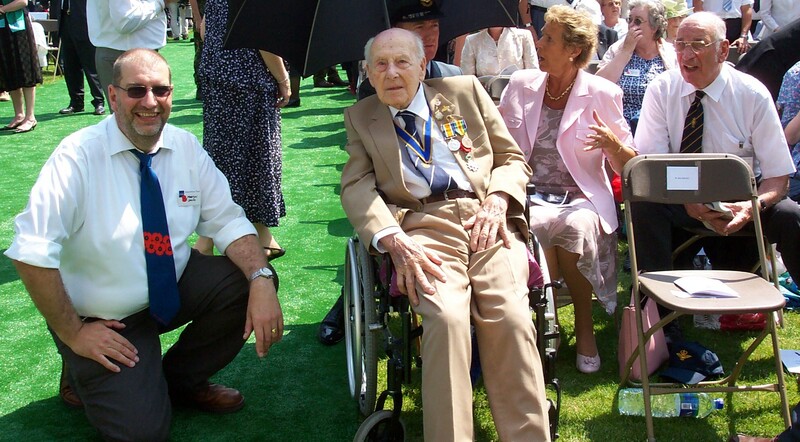 For 110 years old he was an inspiration and seemed to enjoy the service - even standing for the National Anthem. His memory recalled the area all those years ago. Top right my father Doug Smith OBE who also attended the service. A Great number of the Hunts. Cyclists were in the battle of the Somme and many are still lying beneath the soil either marked with a white Portland stone memorial or as a simple name on the panels of the massive panels of the Thiepval Memorial. The sad thing for the ones that I had spoken to is that, unlike the Pals Battalions, they were not allowed to fight as one unit, but split into over 30 differing Regiments and units. As such they were recorded in history as being from 'other Regiments' and not Hunts. Cyclists. 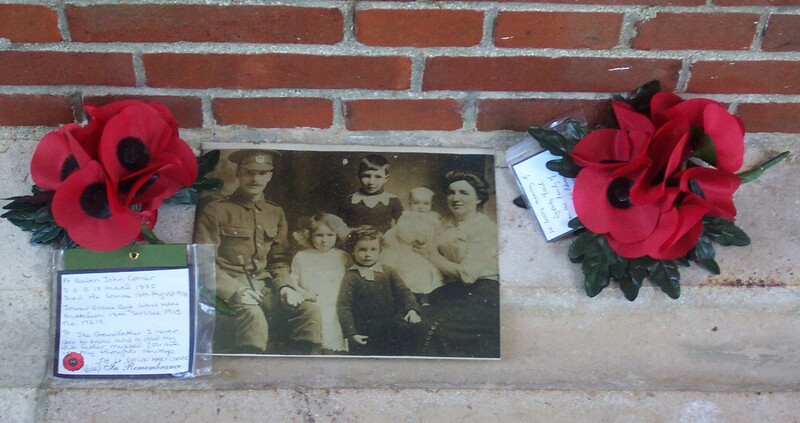 This is not always the case as there are a few 'mistakes' two of their names are on the Thiepval Memorial as 'Hunts. Cyclists'. As usual if you are looking for the names of a loved one or relation they are as high up as they can be. 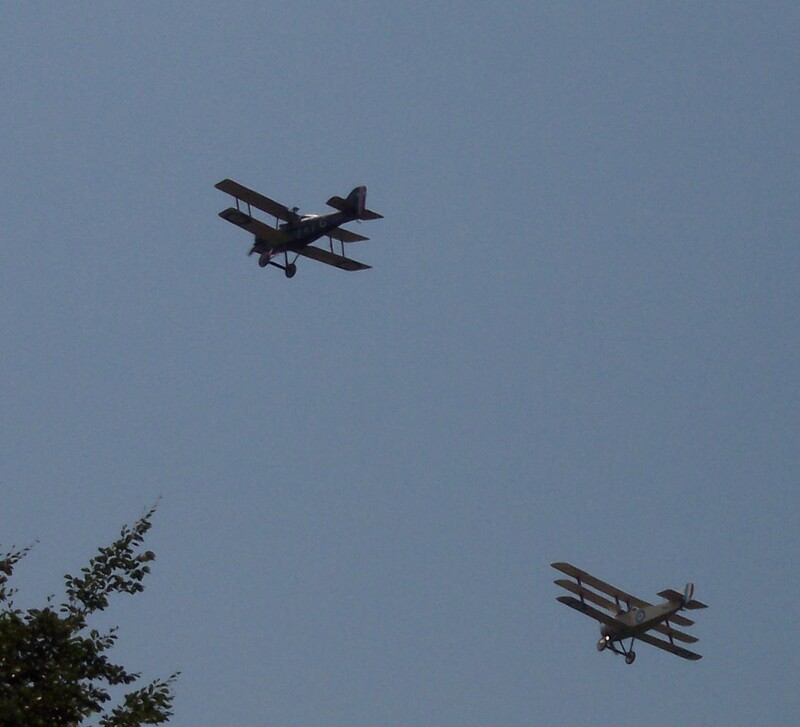 Two WWI planes fly over Thiepval memorial at the start of the service. 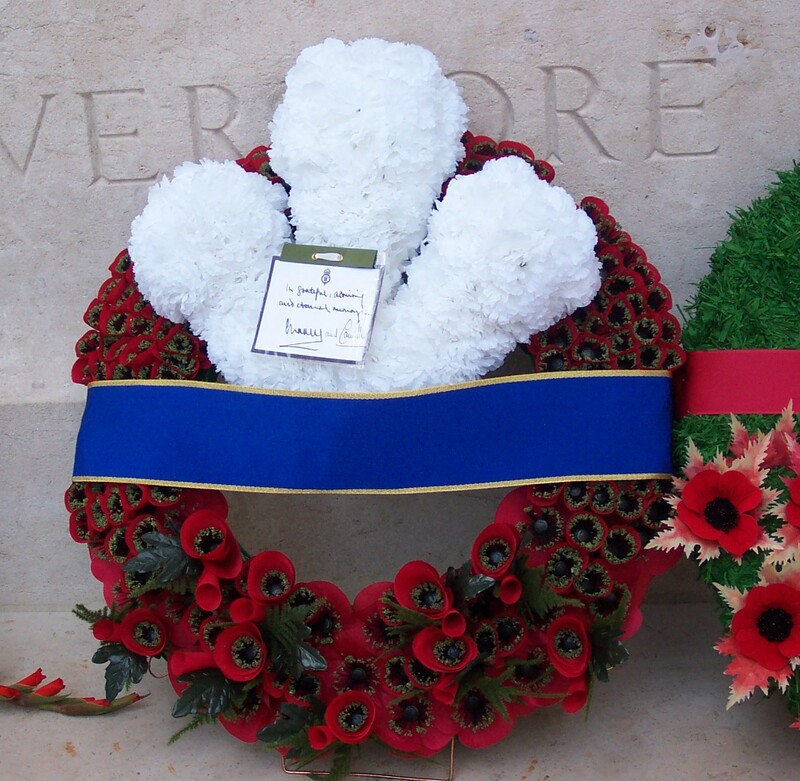 Two very different forms of remembering - The wreath laid by Prince Charles and the simple and poignant individual memorials to men who died. At the end of the day this massive memorial was covered in wreaths and these private memorial crosses, some as above with photos of the men that died, adding a touch of identity to the names carved in the stone. Prince Charles returns to his seat after delivering a moving and thought provoking address to the assembled people.
. 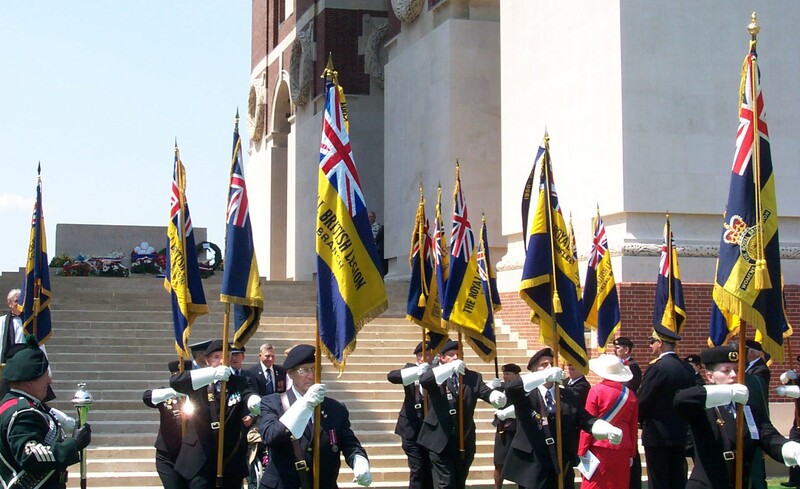 The standards of the Royal British Legion leaving the service. 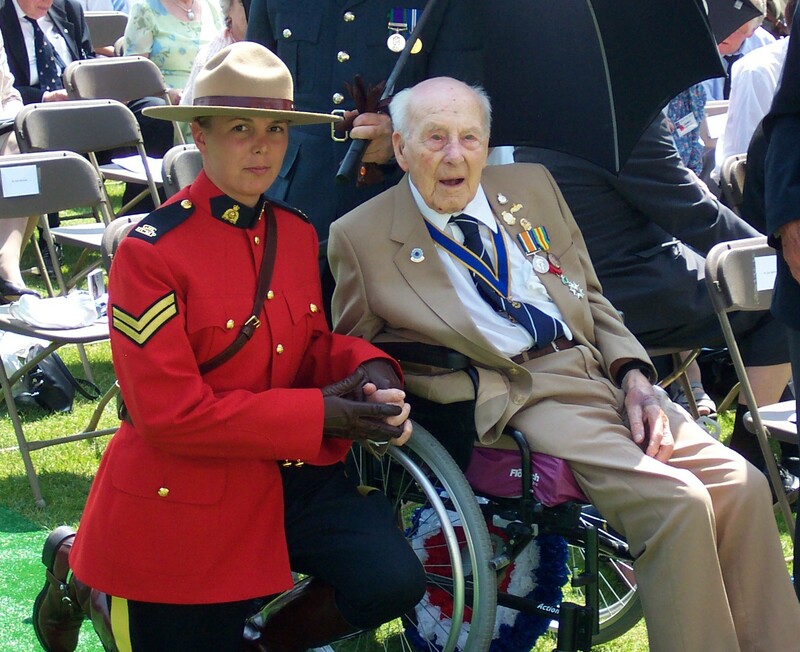 Full credit to all of them as well as the bands for their endurance during the blistering heat of the service.
. A 'Canadian Mountie' gets her man!